Whereas previous versions of iOS, including iOS 6, relegates the global search utility to its own panel, accessible only by swiping left or clicking the home button while on the home page, iOS 7 makes the feature available on any app screen by swiping down from anywhere in the app field. To access Spotlight, users simply employ a "pull down" gesture from an area outside of the dock, including the top row of app icons. 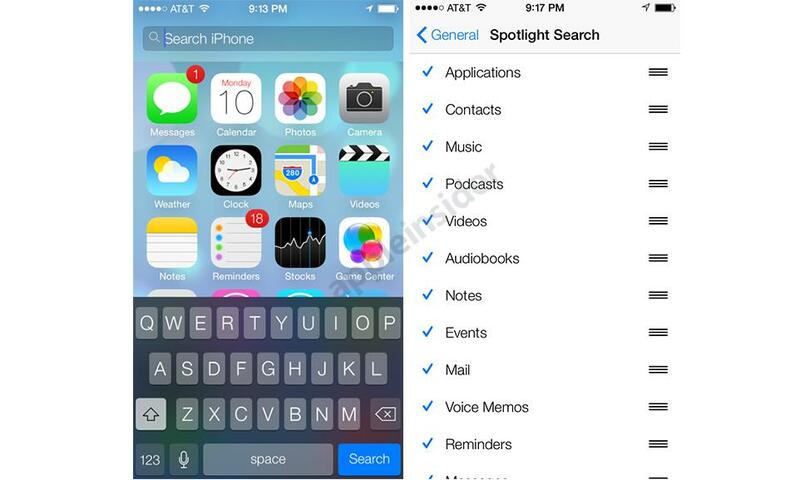 This brings up the familiar "Search iPhone" text box, in which users can look for apps, files, email messages and more. A tap outside of the text box and keyboard area will revert back to a normal app page view. The implementation may be troublesome for users with smaller hands, as reaching for the Notification Center, which is still accessed by a pull down from above the display, could instead trigger a Spotlight search. Apple appears to be taking gesture control to another level, relying less on the physical home button.